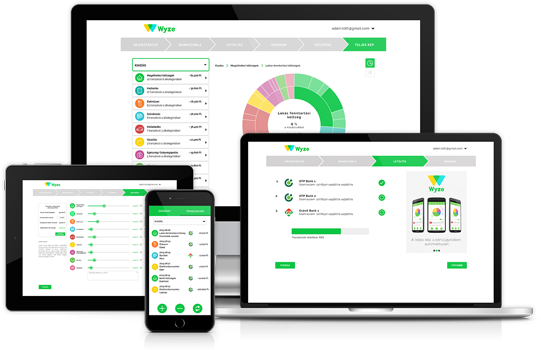 With the help of easy-to-use and free Wyze.me you can finally get the full picture in your finances. Just a few minutes after registration you can see where your money went. 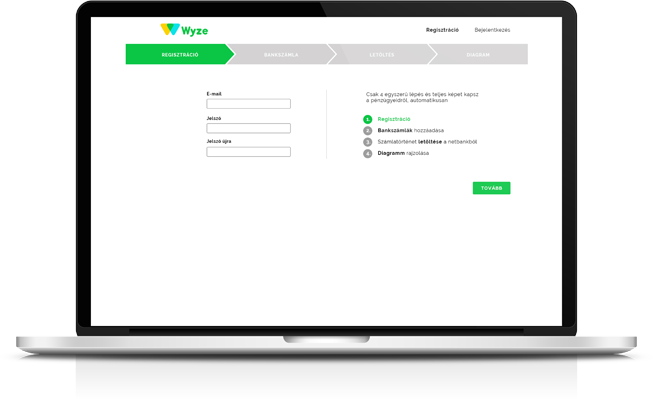 To sign up for wyze.me all you need is your email address and a password. You can log in anytime with these same credentials going forward. 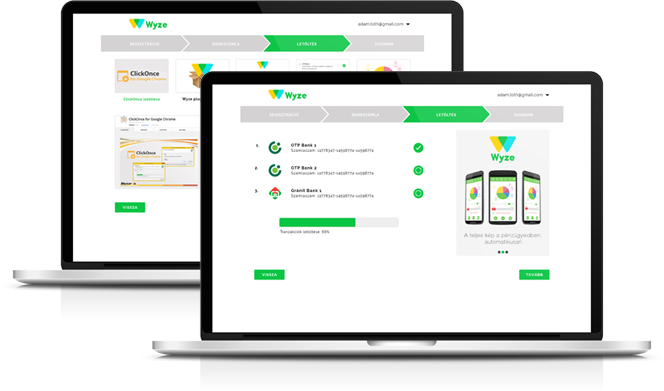 To be able to download your bank account transactions, you need to add a valid OTP or Granit Bank account to wyze.me. (You can add multiple bank accounts.) Your bank account history can only be updated in the desktop version. 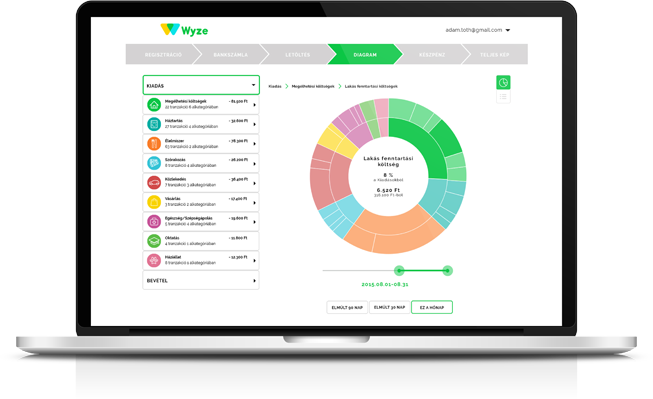 To upload your bank account transactions you need to download the Wyze Plugin. 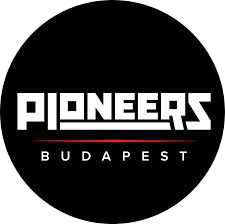 It will remember your bank account username and bank account password on your computer. 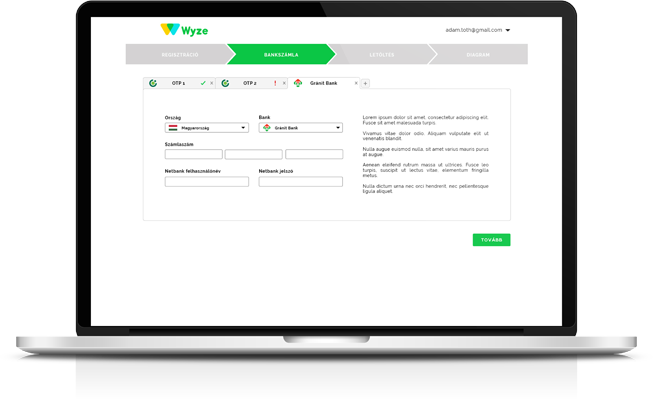 Wyze Plugin will download your transaction history and upload it to Wyze’s cloud database. 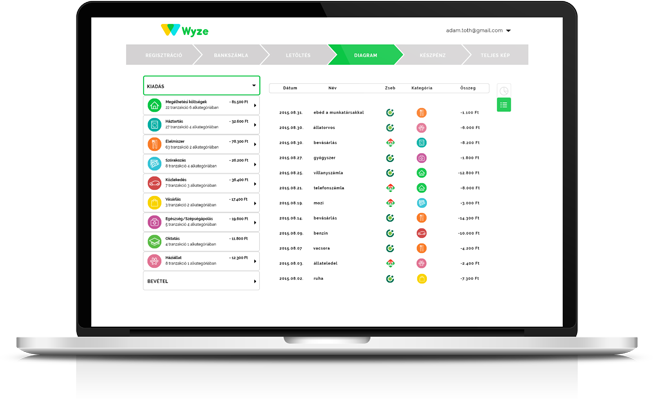 Wyze aggregates your transaction data in logical categories automatically. You can add any new categories in any depth and you can hide the ones you don’t need. If any of your transactions gets included in the wrong category, you can move it to the right one. The application will ask you if you want to apply this new categorization on similar future transactions. Once you’ve uploaded your transaction history, you will be able to see your income and expenses on detailed and interactive diagrams. To get the full picture of your finances you can add your cash spendings too. 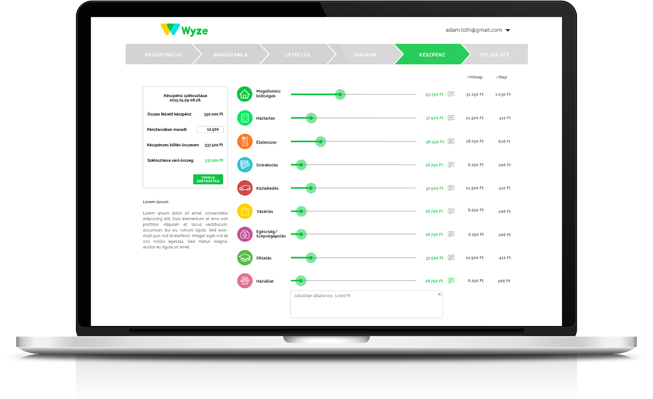 Wyze.me will know how much cash you have withdrawn from your bank account in the given period, all you need to enter is how much cash you have currently. Then just split the difference into the appropriate categories. 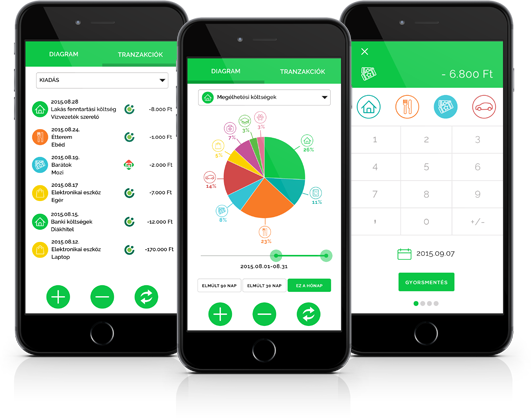 In case you’d like to track your finances in full detail, you can add a cash transaction any time on your mobile. To do that, you only have to click on the “+” or “-” and enter the amount and select a quick category.